A Skerries terrace or a Vendée villa? So how do our neighbours spend €250,000? 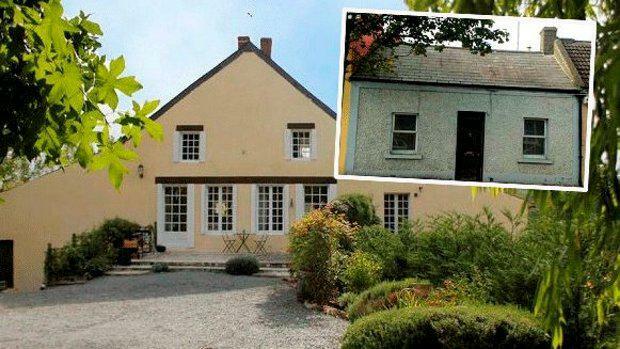 What does a property worth €250,000 look like? Quite impressive, if you're living elsewhere in Europe. In the stunning Vendée region of western France, a six-bedroom villa with its own wine cellar, two adjoining apartments, and large gardens is going for €240,000. The 2,153 metre sq historical property advertised on Daft.ie also boasts a winding driveway leading to manicured lawns. And a two-bedroom apartment in the centre of Mandelieu, just 8km from the billionaire's playground of Cannes, is guiding at €209,000. In sunny Spain, a bolthole on Marbella's famous Golden Mile - replete with stunning views of the sea and mountains - will set you back €250,000. The "Mediterranean style complex" comes with a private, south-facing terrace, communal pool and gardens and gym. Further along the Costa del Sol, €250,000 will secure you your own two-bedroom villa near Fuengirola. On the other side of the Med in sun-drenched Cyprus, €250,000 will buy you a two-bedroom detached bungalow with panoramic views of the mountains. On the Cote d'Azur, a 25 metre sq one-bed fully furnished apartment close to Monaco is on the market for €185,000.